Dr. Daphne Hsu, is one of the nation's leading experts in children's heart failure and heart transplant. Dr. Hsu has treated more than 600 children with heart failure and more than 250 children undergoing heart transplant. Past director of Pediatric Heart Failure at New York-Presbyterian Hospital, Dr. Hsu brings unique specialized medical skills, decades of experience-and extraordinary commitment-to the care of your child with complex heart disease. When your child is being considered for a heart transplant, Dr. Hsu provides expert evaluation. Before, during and after surgery, she manages the full-spectrum, customized medical therapy-and hands-on specialized care-your child needs for successful heart transplant. In addition to managing her busy practice, Dr. Hsu conducts ongoing clinical research and is a nationally recognized pediatric cardiologic thought-leader. 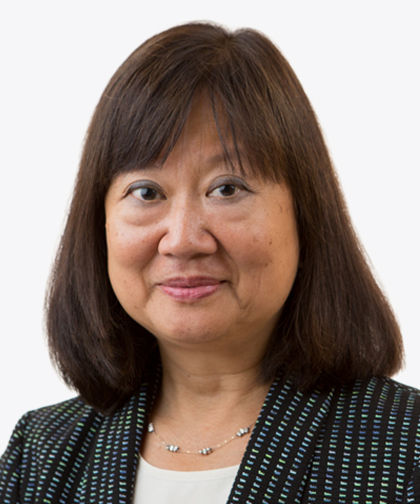 Since beginning her career in 1987, Dr. Hsu has participated in many important US multi-center studies on children's cardiomyopathies, medical and catheter-based therapy for heart disease in children and heart transplant. Dr. Hsu served on the end-point and steering committee of the only multi-centered, placebo-controlled trial studying the effect of Carvedilol in pediatric heart failure patients. Past president and board member of the Pediatric Heart Transplant Study Group, Dr. Hsu also sits on the boards of the Pediatric Cardiomyopathy Registry and the Adult Congenital Heart Disease Committee for the American Heart Association. In addition to authoring dozens of peer-reviewed cardiologic studies (link: p. 41), Dr. Hsu reviews pediatric cardiologic-related grants for the Food and Drug Administration and the National Institutes of Health and is a member of the Sub Board of Pediatric Cardiology of the American Board of Pediatrics. Dr. Hsu was drawn to pediatric cardiology early in her career. "I like being able to care for the sickest children," she explains. Children with heart failure "have a terrible disease," says Dr. Hsu. "You have to figure out what it is. You have to treat it quickly. And you have to do it well-and then you can follow them for the rest of their lives." Lasting relationships with her patients-and their families-are for Dr. Hsu among the most rewarding aspects her work. "You can share with the family the joy of this child who is doing so beautifully because you know where they've come from."